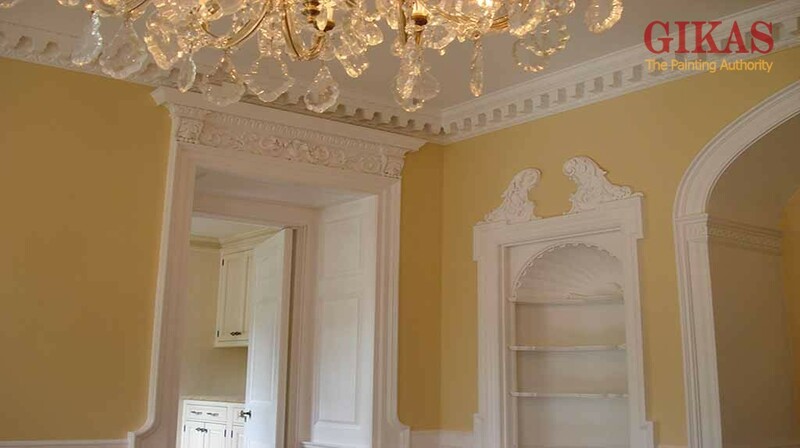 We have been painting homes and restoring older homes in Ridgewood and surrounding towns since the early 1980’s. Our work philosophy known by our costumers as GIKAS WIZARD is creatively carried from project to project enhancing your home with texture, colors and details in order to comprehensively restore its charming properties. Interior painting in Ridgewood can completely transform the look and feel of your home and our professional painters possess not only the necessary skills but also the equipment to get the job done right. Our team is ready to get started on your exterior home painting project. We know how importart is the external appearance of your home so we can create the impression you want. Also, your exterior painting projects in Ridgewood can be customized to your specifications. If you are looking for carpentry services in Ridgewood you can trust Gikas painting. Carpentry services supplied by highly trained professionals who save you time. At Roofing Services in Ridgewood we have the appropriate experience to leave you wholly satisfied. To guarantee this, we use crew who each have roofing experience.Our team is equipped and prepared to fix any problem and find every kind of solution for you. Gikas painting can make putting a new floor an easy procedure. We are focused on providing high-quality flooring services in Ridgewood with an exceptional standard of flooring.